Do you enjoy speed games like SlapJack, Spit, or Slamwich? 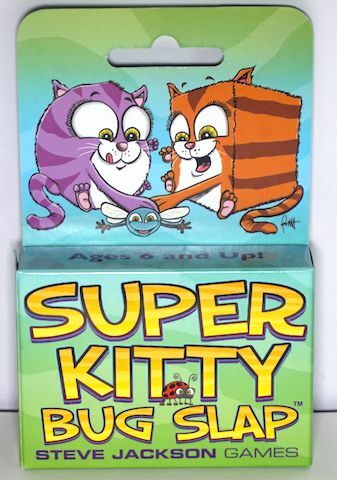 Then you should listen to our review of Super Kitty Bug Slap, from Steve Jackson Games. Designed by Sam Mitschke and Randy Scheunemann, find out why this quick-slapping game is one of Claire’s favorites. 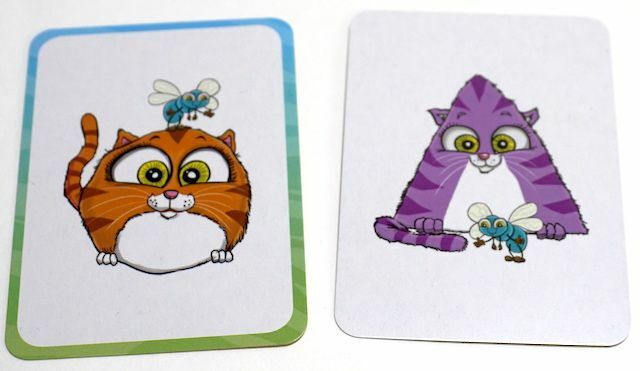 Each player gets a card representing “their kitty” for the round, with three specific attributes: Shape (Square/Round), Color (Orange/Purple), and Bug (Ladybug/Fly). One of these will be your kitty. When all cards have been dealt (and either slapped or removed from play), tally your score: 1 point for correctly matched cards, -2 points for incorrect cards. Play as many rounds as there are players, so each player is the dealer once. 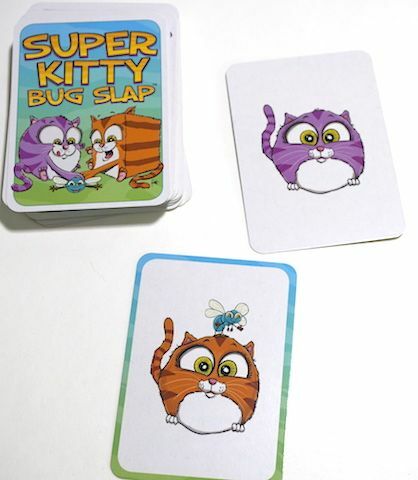 A super-fast game, Super Kitty Bug Slap is great for kids (and adults) who love speed games. Playing can get ridiculous, for instance, if a player just slaps at everything. Especially in a 5-player game, this can be a winning strategy. We absolutely love the super cute illustrations from Len Peralta (who we interviewed back in 2016). Claire rates this “not a 5, probably a 4.99”, and will keep looking for more people to play it with her. For about $6 on Amazon or at your local game store, you can’t beat it for value. The Family Gamers received a review copy of Super Kitty Bug Slap from Steve Jackson Games.